Straight out of Stanford’s research labs, the Lytro Light Field Camera is the first consumer Light Field Imaging camera. It’s an Icon for a new era, celebrating the most significant technology shift in photography in decades. 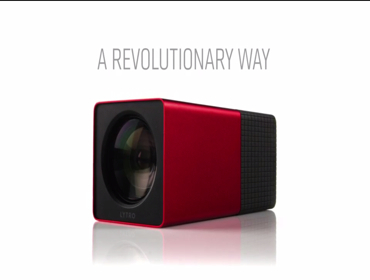 Lytro captures dynamic vectors of light to create ‘Living Images’; images that contain the color, intensity and direction of all light-rays in a scene. The results are photos that can be focused infinitely after they are taken. Derived from the gesture of viewing a kaleidoscope, the ‘extruded-lens’ form is supremely clean–shrinking what took an advanced imaging-lab into the palm of your hand.